In the past two weeks, I flew to home in Belgium for a weekend, flew to Budapest for a weekend, and just landed back in Belgium. On Monday we're flying to Rome with the family: the start of the summer holidays. We will be in Rome for a week, before flying off for a month in the Seychelles. 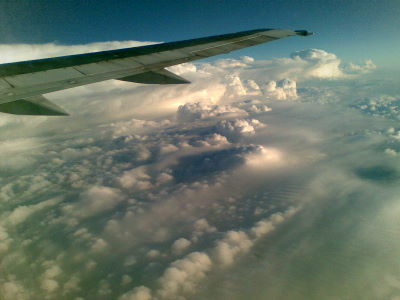 All the flying gives plenty of inspiration... 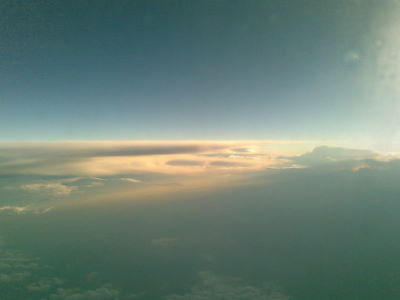 When I flew back from Belgium the weekend before last, there was heavy wind, and a dense cloud cover. 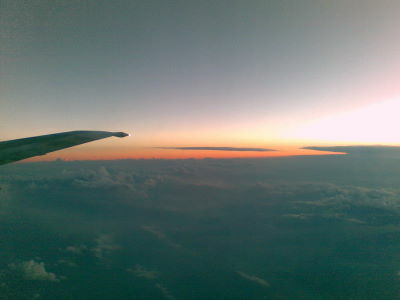 I ensured I had a seat on the plane looking West, so I could snap away at sunset. Here are some of the pictures. Rumble: How NOT to moor a yacht - take 2. Rumble: How NOT to moor a yacht. News: White House calls Berlusconi "an amateur"